Apply by the 18th of July. 22 and 23 July, come to Lago to discover the techniques of serigraphy. For the 13th edition of Lago Film Fest, Bologna-based screenprinting lab Meninji will organise a two-day workshop in Lago. 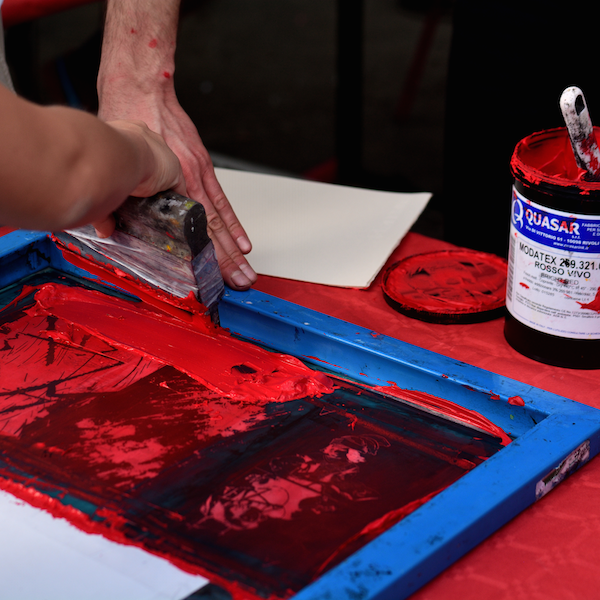 From building your own screen to the impression and print, you will be guided through all phases of screenprinting. The workshop was made possible thanks to TESITALIA’s generous support. Participation fee 50€ – all the participants are going to get the catalogue and the official bag of LFF13 and the accreditation to attend the festival and the T-shirt that will be self-produced during the lab.